Organic Oasis Farm Store opened in June 2001. However, the “Oasis”part actually began evolving many years before. Our family’s farming operation started in 1971 as a small, mixed farm. We soon became full-time dairy farmers milking purebred Holsteins. In 1985, upon realizing the potential hazards to the health of our family, animals and the environment, we discontinued all use of chemical fertilizers and sprays. Our 100 acre farm became ‘Certified Organic‘ in 1993 and soon after that, our livestock as well. 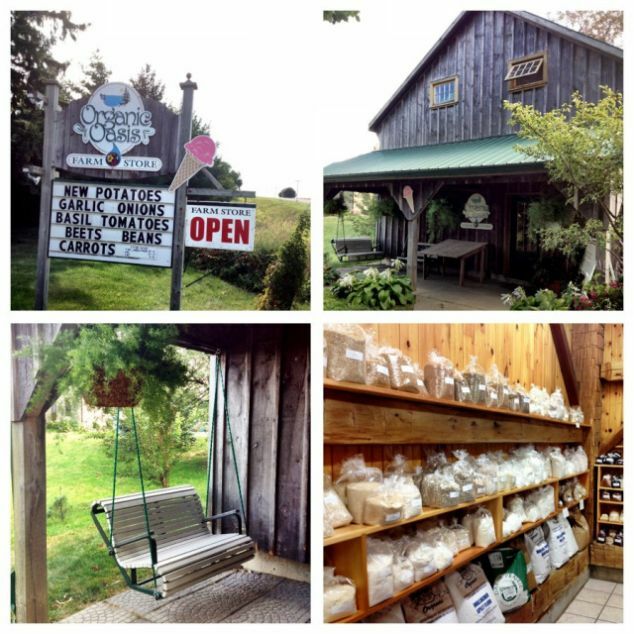 In 1991 we bought the adjoining 100 acre farm which is now the home of Organic Oasis Farm Store. We then had 200 acres of good farm land to nurture with the best, healthiest practices in order to produce good nutritious food for our family and animals. With 5 energetic children helping out on the farm, an abundance of good food was also needed. Our ever-enlarging garden was always a plentiful source of fresh, nutrient rich, organic vegetables.